A four-legged snake fossil is 113 million years old discovered in Brazil. 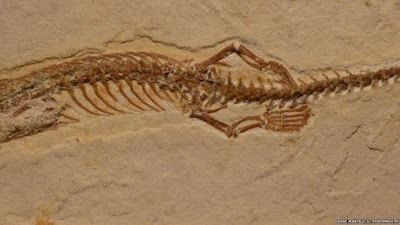 Fossils like this is the first visits of scientists and estimated were the ancestors of today's snakes and named Tetrapodophis Amplectus. 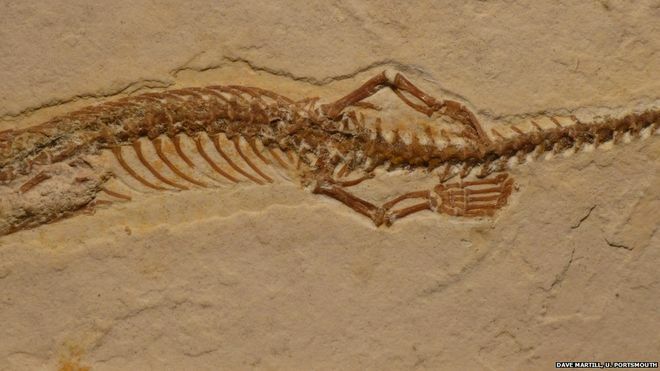 Its hands and feet were allegedly not used to walking and swimming, but it may help it gripping prey and dig. 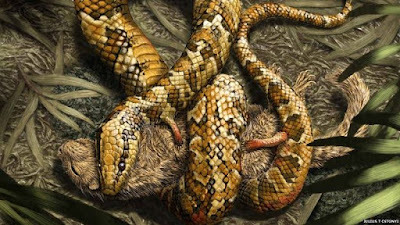 These findings was reinforced the assumption that snakes evolved on land. 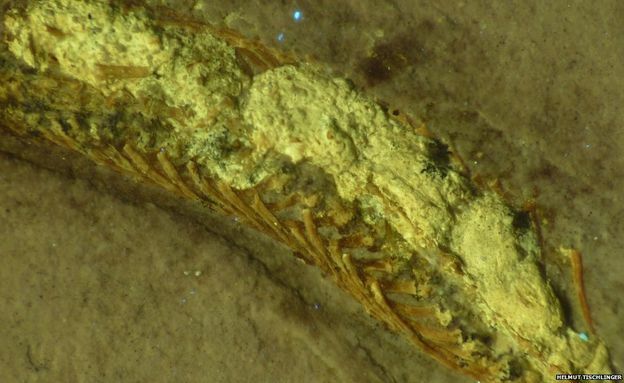 The longstanding debate among palaeontologists, and the researchers say that the less evidence of sea snakes evolved from reptiles. "This is the most primitive snake fossil, and it was clear this was not living in the water," said Dr. Nick Longrich of the University of Bath, one of the researchers of the study. Speaking to the BBC's Science in Action, Longrich explained, these creatures do not have a tail shaped like a paddle to swim and has no signs of fins. Meanwhile, a long trunk and short snout is a feature commonly found in animals digger. Longrich even see a snake-like organ, such as crooked teeth, jaw and spine flexible, even scales like a snake. "Can not be denied it was a snake. It's just that, with small arms and legs," he said. Its Sleeve 4 mm and 7 mm feet, according to Longrich, not used for walking, but for grasping prey. The weak grip that may also be used at the time of marriage is the source of the name of the species, namely Tetrapodophis, which means four-legged snake, and Amplectus, which is the Latin word meaning to embrace. 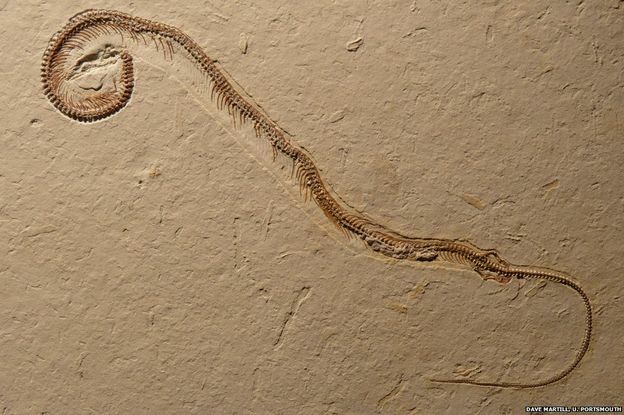 Dr Bruno Simoes who study the evolution of vision serpent in the Natural History Museum in London said it was impressed by this discovery because of the arms and legs were well preserved snake and looked well developed.